Whether you're starting a collection from scratch or looking to dial in pre-existing one, let us help you drive your collection to perfection. Most collectors we interact with are at a crossroad. By year three or four, they have realized they have amassed ten or more cars with no rhyme or reason. JR calls it a "menagerie of cars." It’s incredibly easy to get carried away in your initial foray into car collecting - we're all guilty of it! • What am I going to do with it? • Where does this fit in my current collection of cars? • What do I want to base my collection on? Once one answers these questions is the time to ask, "will I be able to manage the car myself, or could I use some help in the process?" When the time comes to decide which car to acquire, we can help with the purchase, pre-purchase inspection and transportation of the car. Our team has deep roots in the collector car world, allowing us the ability to source most any automobile to check every box that meets your criteria. • We can help you decide what to do with the car. Sometimes this means completely restoring it, and sometimes only part of the car needs attention. In the case of preservation cars, we maintain the car in a way that doesn’t disturb the rest of the authenticity. • We can facilitate the restoration of the automobile or oversee the work being performed, as we have in-house experts and an extensive network that we work very closely with. • We also can help you walk your car through the entire judging process, from start to finish. Alternatively, we can take care of the entire process, so all that you have to do as the owner is show up to the event, enjoy the show and talk about your car. We handle the rest, such as car prep and fully-insured transportation to and from the event. 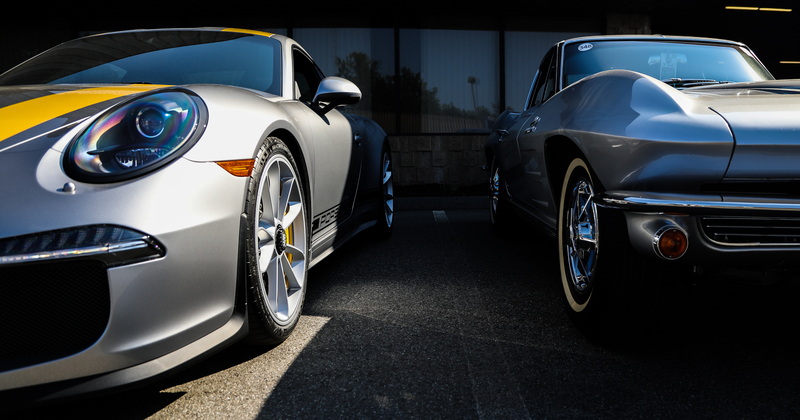 • As another aspect of collection management, we are also capable of storing your car in between events. Lastly, but certainly not least, if the time comes when you have fulfilled the journey with your car and are ready for a new adventure, we are here to help with the sale of your automobile. We look forward to talking with you about shaping and fueling your collection.